In the second decade of the nineteenth century, the British press began a campaign of critical abuse against Leigh Hunt, caricaturing the radical journalist as an upstart "Cockney" author whose literary talents were as disreputable as his politics. Lord Byron, on the other hand, was revered as a peer and a poetical genius who, the conservative press argued, would never befriend and collaborate with a writer like Hunt. Yet Byron did just that. 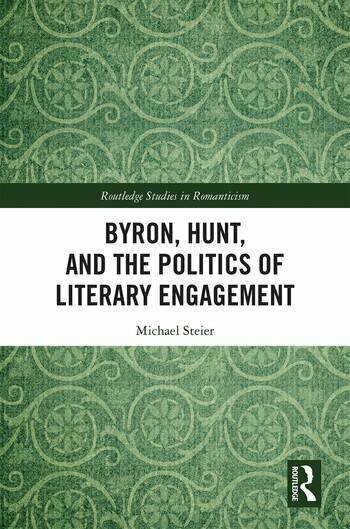 Byron, Hunt, and the Politics of Literary Engagement　is the first full-length study of the friendship and literary relationship of two of the most important second-generation Romantic authors. Challenging long-held critical attitudes, this study shows that Byron and Hunt engaged in a creative and meaningful dialogue at each major stage in their careers, from their earliest published volumes of juvenile poetry and verse satire to their most celebrated contributions to Romantic literature:　The Story of Rimini　and　Don Juan. Drawing upon newly recovered letters and unpublished manuscript material, this book　illuminates the surprisingly durable and artistically significant friendship of Lord Byron and Leigh Hunt. Michael P. Steier holds a Ph.D. from the University of Delaware. He has published articles on Byron, Hunt, and their circles in Studies in Romanticism, The Byron Journal, and The Hazlitt Review.